A nineteenth century chap is posed for a hunting portrait wearing a three-piece suit and top hat. 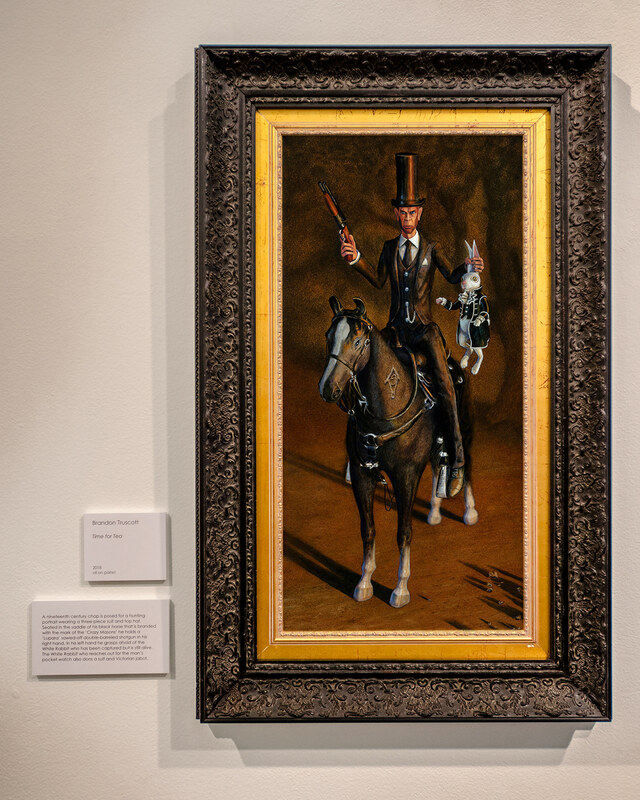 Seated in the saddle of his black horse that is branded with the mark of the ‘Crazy Masons’ he holds a ‘Lupara’ sawed-off double-barreled shotgun in his right hand. 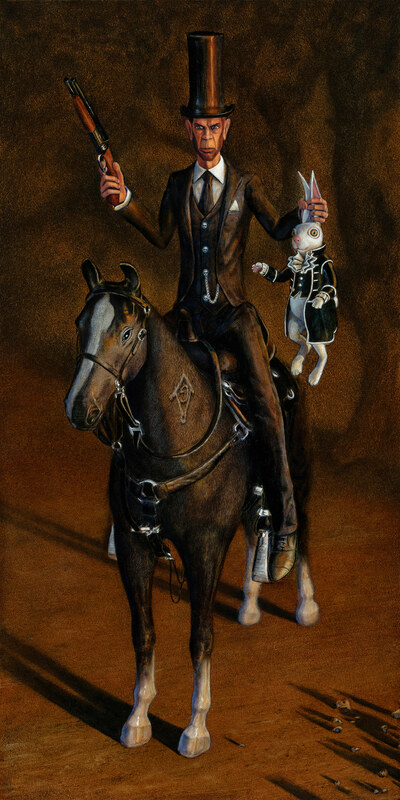 In his left hand he grasps ahold of the White Rabbit who has been captured but is still alive. The White Rabbit who reaches out for the man’s pocket watch also dons a suit and Victorian jabot.